Quilt Me Happy! : Hello ... my name is Tracey. I'm a Quilter! Hello ... my name is Tracey. I'm a Quilter! Hello peeps, its me again ... with a new blog and a new name! Chubby Mummy is now officially retired and Tracey Pereira ... dot com! is operational! Over the next few weeks I'll migrate the tutorials over to Tracey Pereira dot com! so they aren't lost forever. 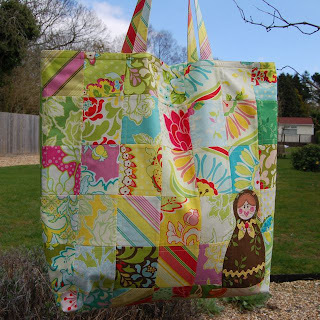 As a BIG thank you to you all for clicking through to my new blog I welcome you all to download my Summer Bag pattern. It aired in Sew Hip magazine a while back and got some nice reviews so I hope you enjoy it to. If you do .... click to follow me! So ...its onwards and upwards guys ! I have lots of things planned for this blog so please click the follow me button so you don't miss out. Yayyy! I'm glad you didn't leave altogether :) I'm following the new you now too! Congrats on the new blog. I'll be following! Oh, nice new layout. I'm with you too, even become a Follower this time! Love the new look - not so....well, 'Pink'! Will follow too. Great new look! And it's wonderful to put a face to the name and the wonderful pieces you create! Hi Tracey, It is so nice to see you!! 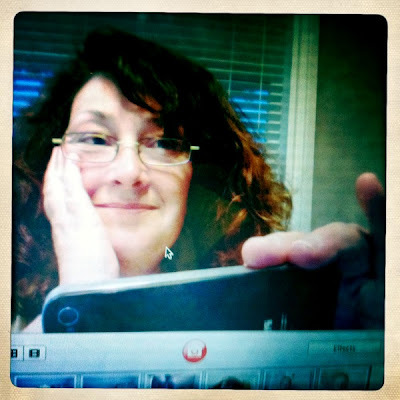 been following (quietly)Chubby Mummy and will now follow you here - good luck with the new blog. Thank you for your comments. I appreciate each and every one of them. Digital Quilting Patterns designed by Me! Sunday Shorts : "Ohh - thats a nice quilt!"